Attention poets: I have an opportunity to help promote some of your poetry. Marketing poems isn’t easy. I see several wonderful poetry blogs here at WordPress (I follow many of them). I have an idea that may help a little. Any help is better than no help, right? 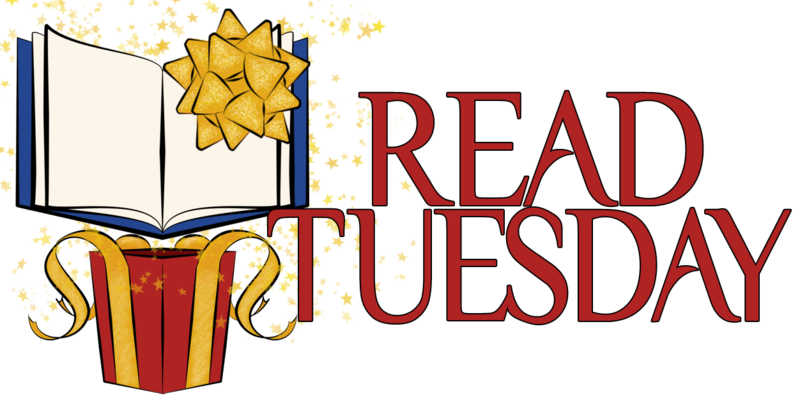 I want to create an educational page on Read Tuesday, designed to illustrate the wide variety of poems that poets write. The page will consist of a wide array of terminology for different kinds of poems and features of poems, such as limericks, haiku, or iambic pentameter. 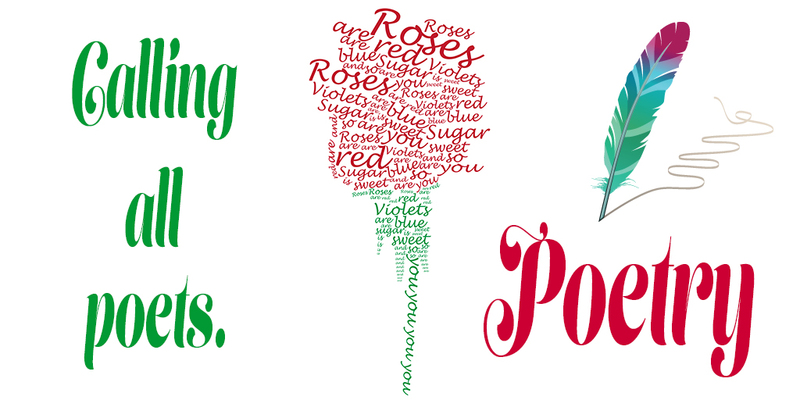 I would list the term, describe what the term means, and provide links to examples of poems that illustrate that term. What I need are examples of poems that illustrate the different kinds of poems that a poet could write. I won’t copy your poem. I will just provide a link to it. Your poem needs to appear in a post on your blog so that I can provide a hyperlink. People will click on the hyperlink to visit your blog and read your poem. Very specific kinds of poems that illustrate very specific features are better. Obviously, I can only list a few examples of each kind of feature. So, for example, if 100 people submit an example of a haiku, I won’t include all 100 examples. But if you have a specific kind of haiku, that may improve your chances of having your example included. I will try to be as inclusive as possible, and since I don’t expect to receive a 100 examples of any one kind of poem, in many cases I probably won’t have to exclude anyone. Just use this contact form to submit a poem for consideration. It’s free. In the comments section, include the url to one of your poems. Briefly describe which poetry concept you would like for your poem to illustrate. If, after a week or so, you don’t see your example on the poetry page (once this page goes live), feel free to use the Contact Us button on the Read Tuesday website or leave a comment on this post. Occasionally, for whatever reason, a message doesn’t get through (if so, we apologize for the inconvenience). TIP? When you post a poem on your blog, do you ever follow it up with a brief paragraph describing the poem or your inspiration for it? I don’t mean to explain it, but say you write a cinquain. In that case, you could briefly explain what a cinquain is. I wonder if this might help slightly with search engine potential, for example (along with, say, the category poem and the tag cinquain). Great idea, Chris! You are always coming up with something new and original! I write a bit of poetry, but I’m not a student of poetry, so I’m not sure I fit any particular category, but I’ll have a look and see if I have anything suitable. Thanks! Would you like some exposure for your poetry? Pick your favorite piece of work and post it with the Read Tuesday site. I do hope you will feature the forms Fixe like the various forms of Rondeau, and Sonnet, as well as the Villanelle and Rhyme Royal. Calling all poets! Chris McMullen, founder of Read Tuesday, is looking for examples of different types of poems from we bloggers. Poems will be chosen to illustrate different styles, such as haiku, iambic pentameter, etc. Do take a look at his post! Terrific idea Chris! Thank you for helping spread the love of poetry. True. I love haiku because of the tight limit on word choice. I rely on word fields to communicate. It would be hard for me to take apart what I write. On my blog I have dozens of haiku, some really good I think and others that miss the mark. How do you think I can contribute to your and Colleen’s project? One thing that holds me back is the technology of linking,etc. I do not even cut and paste. I’ve tried and I’m not willing to get into the frustration of my lack of computer tech skills. I just write. I just need the url for a page with a haiku that you feel illustrates the concept well. If you can tell me a few words in the haiku that probably aren’t in most of your other posts, I may be able to search your blog and find it. P.S. I took Poetry 201 last summer and loved trying out the many forms of poetry. Please give me the definition of a url and I will find a haiku to send you. My basic tech problem is I don’t know the vocabulary. When you view the post on your blog, look at the browser bar at the top of the page. The url starts http://www. Though you might not see the http:// part. My url is http://cronechronicler.wordpress.com. I’ll choose a haiku and tell you the date so you can look at it. Thanks. Chris, check out the haiku posted May 9 on Cronechronicler. There is a free verse poem posted July 3 that is an example of another form of my poetry. The poem I posted July 10 is one I wrote from a feeling place in free verse but no particular attempt at form. I usually to get the most response when I write about personal things. I think maybe this is not what you are looking for. That’s all for now. Have a good weekend.